It’s fair to say that taking a holiday with children needs to be carefully planned. Whilst adults can feel at ease going with the flow, children are not so easily pleased. 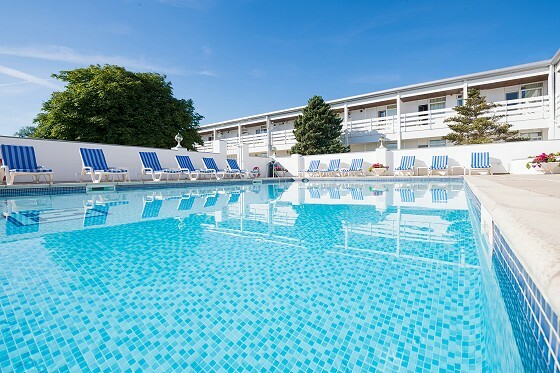 It can be tricky to keep everyone in the family happy during a holiday - but not here in North Devon, and especially not when staying at The Royal and Fortescue Hotel. The glorious beaches are a big crowd pleaser, but even for children there is so much more to North Devon than just the long stretches of sand and sea. Whatever the weather, whatever the time of year, there’s always something to do in the area, which makes North Devon a wonderful place to take a holiday. We’ve brought together a selection of things to do and places to go in North Devon when the younger ones are ‘bored’, with activities children and adults can both enjoy. Family fun for all, rides for adults and children, live shows, wildlife displays, indoor and outdoor play areas and much more - what’s not to love about The Milky Way Adventure Park near Clovelly in North Devon? Children of all ages, and the adults keeping up, will be spoilt for choice on how to pass the time at the biggest theme park in North Devon. Whatever your group's ages and pace of life there’s something here for all to fall in love with. There are many thrills waiting. 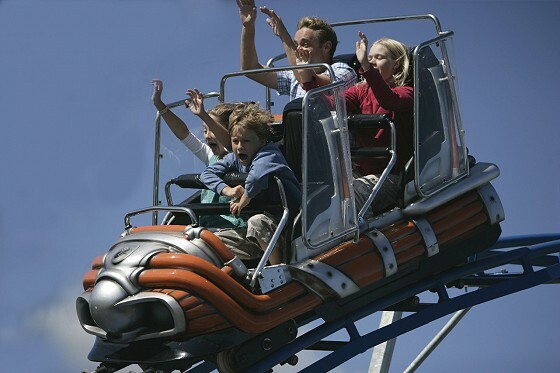 Ride the Cosmic Typhoon - one of Devon’s tallest, fastest and longest roller coasters. Burn energy in North Devon’s biggest indoor adventure play area with assault courses, ball bits and slides built for adults and children. Face the aliens and things that go bump in the night by facing The Clone Zone. Feel the wind in your hair on the new Gravity Rider. Or chase each other around the Dodgems. Alternately, jump as high as possible on the Jumping Jupiter Pillows before watching an amazing live show featuring Merlin from Britain’s Got Talent. Plus there are fantastic displays from the North Devon Bird of Prey Centre. But there’s so much more going on too - spend a whole day at The Milky Way Adventure Park during any weather for a wonderful family day out, it’s the only way you’ll be able to take it all in. Another family day out, ‘ewe’ will love The Big Sheep too! 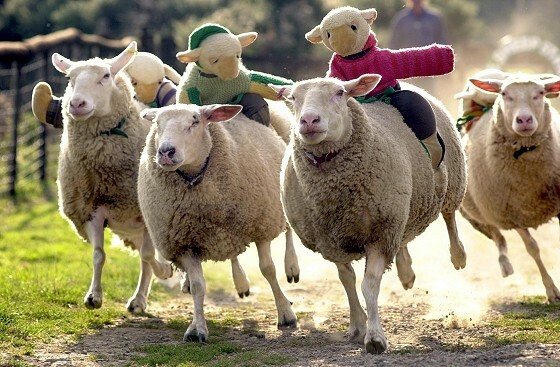 The adorable farmyard animals combine with rides, thrills, races and entertainment. Enjoy sheep racing, duck herding, shearing displays and donkey rides, all between playing in the indoor and outdoor play areas. You'd be ‘BAAArmy’ to miss it. The Big Sheep has a huge amount of suitable holiday activities for everyone to get involved with. Events take place throughout the year, especially popular are the Toddler Take Over, Halloween Festival, Bonfire and Fireworks, Wedding Shows and Christmas wonderlands. In 2018 there’s a Magical Unicorn Weekend and Marshall from Paw Patrol will be visiting too. Visit for wacky and unique entertainment and games for all the family. Whilst the little ones feed the lambs, older children can get wet and wild in the splash zone or try scaling the 45ft climbing wall. Don’t miss the Ewetopia play area adventure zone for literally all ages. Attached to the attraction are a couple of more popular North Devon things to do - Battlefield Live and the Ultimate Adventure Centre. Ideal for adventure filled adults and teenagers who don’t mind muddy, wet, bounced around and shot at. 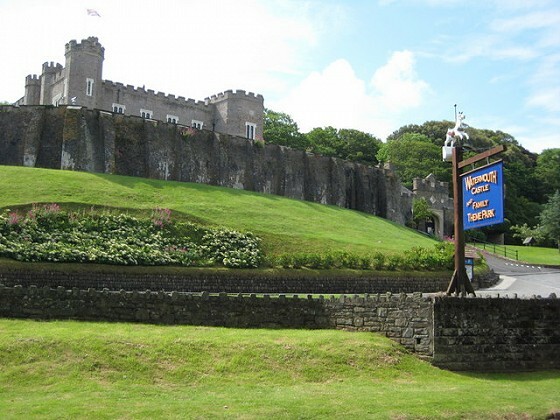 Watermouth Castle is an exciting playground on the North Devon coast. They include a serious amount of play into this family attraction, there’s a lot to entertain children and adults alike. Dad will probably enjoy the 2p retro slot machines as much as the kids, while the whole family can also solve the labyrinth and discover a whole castle grounds worth of fun - with new and slightly random things around every corner. It’s called Watermouth Castle for a reason. Approach the entrance and be in awe of the castle building in front of you. Enter to step back in time and find the treasures of the castle. Do you dare to go down to the dungeons? In grounds, the rides and attractions are split up into Adventure Land, Gnome Land and Merry-Go-Land, each offering more play. For the thrill seekers, enjoy the Toboggan Run! Don’t forget to catch the water and light show too! Bounce away the day at Air Extreme, the trampoline park in Barnstaple. It offers a wide range of bouncing activities! Book in advance to have fun on their massive indoor trampolines, bouncing around the room, literally wall to wall. There are several session types available, and all ages can have a go. There’s also a Hangout Cafe too for refreshments. 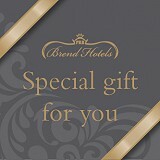 They advise customers to book online in advance to ensure you don't miss out. From something indoors to Exmoor National Park, nature's playground and the ultimate place to embrace the outdoors. If your idea of the perfect family day out is a little wilder than local amusements, show the kids Exmoor. Together you’ll be able to explore and find woodland trails, streams, stunning sea view and plenty of wildlife. Don’t forget your camera, chances are you’ll see the Exmoor Ponies whilst exploring. Red Deer thrive here too but are hard to find. Other activities you could do on the moors - which stretch from the North Devon coast into Somerset and down towards Mid-Devon - include fishing, climbing, horse riding, stargazing, mountain biking and much more. 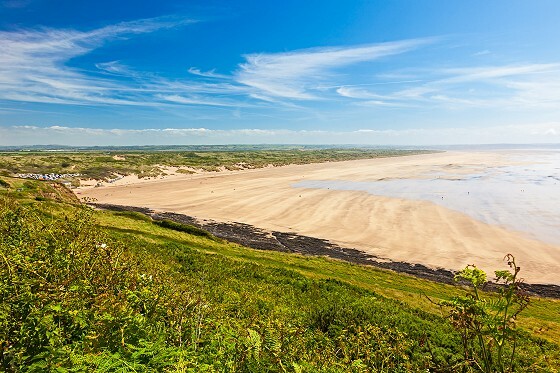 With beautiful golden sands such as Saunton, Croyde, Woolacombe and Westward Ho! on our doorstep, it’s clear to see why North Devon is famous for its beaches! Of course, how you spend your time by the sea is up to you. Leave the Royal and Fortescue Hotel with your buckets and spades, your bodyboards, your favourite sports equipment and lots of sun lotion for when the sun shines. Fish and chips, ice creams, sun, sea, sand and surf! It doesn't get more stereotypically British than that! It’s stimulating, healthy, out in the fresh air, it’s most definitely fun! To save you looking around, we recommend Walking on Waves Surf School. Based within meters of Saunton Sands beach, they offer instruction for all ages from 5 to 75 and have taster sessions and specific family lesson to share those first waves together. Also sea-based, but more relaxed, are cruises along the North Devon coast. There are a number of places and companies to go with. Some are fishing based, some go on the hunt for wildlife. But during summer in North Devon, it’s a must do. Ilfracombe is the town to start from, with various cruises available from the harbour. Take in one of the most dramatic coastal landscapes in England, with immense seascapes and the highest cliffs in Britain. During the summer months, there are frequent sightings of Seals, Porpoises and Dolphins. If you have a handful of restless children to entertain, the various play zones and games of Atlantis Adventure Park in Bideford is the place you need. Even on the wettest and unluckiest of days with bad weather, the park stays open so children can enjoy a water fight in the Water Wars zone (if they’re getting wet with rain anyway, might as well make the most of it). It’s situated at Affinity Shopping Outlet, meaning parents can shop in the stores whilst children can play at Atlantis Adventure Park. There's an indoor cove play area, an outside adventure pirate ship to explore, children's rides, a jumping pillow, crazy golf and a large maze with interactive elements to win prizes. You can also pan for gold at the Wreckers Cove! With wristband entry, families can come and go all day long. 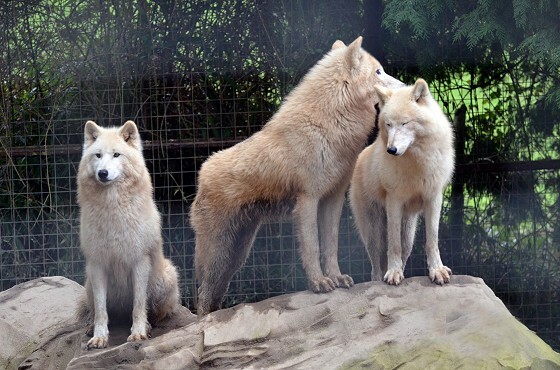 Exmoor Zoo is a friendly, small but award-winning place, where they focus on education and conservation. This is the home of the "Exmoor Beast" or a black leopard. They say a giant black cat stalked the moors, killing stock and threatening people, with several pieces of evidence and footprints suggesting it’s too. 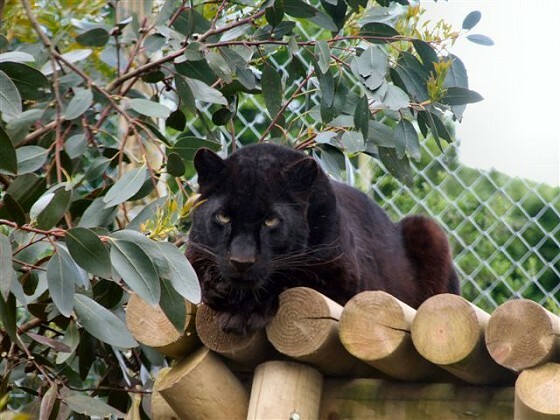 Listen to some locals and they’ll say a North Devon exotic animal collector released his collection of illegal species onto the moors, a blank panther included. But they have so many more species too, with many talks and feedings throughout the day! Including wolves, cheetahs, singing dogs, a wide range of cats, monkeys and lemurs, birds, otters and much more. The best way to enjoy the day is to follow the show and talk programme to learn about the animals. Perhaps you'll be brave enough to hold a snake, bug or spider too? The other popular zoo in North Devon is Combe Martin Wildlife and Dinosaur Park. Here you’ll see African lions, wolves, sea lions, penguins, meerkats, monkeys, wallabies and many more animals. As an added attraction, they have spectacular dinosaur models that come with an extra roar! Placed throughout the park, they roar, move and even spray water on those who pass by. This is another family-friendly attraction for all ages with places to eat, play areas for extra fun, cute farmyard animals and enjoyable keeper talks. The sea lion shows are a must see by the way. 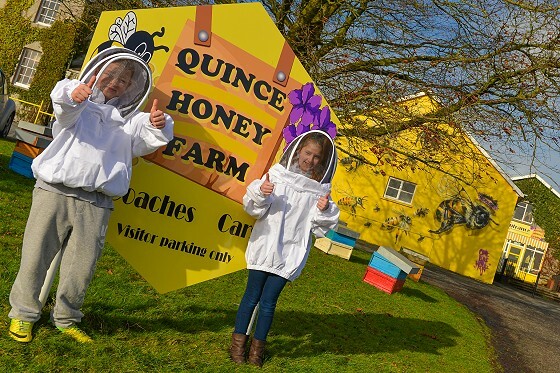 For something a little different, check out Quince Honey Farm in South Molton. A family visit involves genuine fun for all, not just those interested in honey. Adults can visit for the beekeeping experience and the honey, children for the play area and educations aspects. They have a Critter Cabin, where you can say hello to snakes, turtles, stick insects and spiders. There’s also Bee World, an interactive experience that closely looks at how hives work, how bees spend their days and how honey is produced. Have you always wanted to have a go at beekeeping? Visit during the summer months to do so. Finally, at the end of a fun day out, it’s time to relax. Families can do this in our newly refurbished lounge before a good night's sleep in our luxury rooms. If you fancy it, you could pop to our nearby sister property, The Barnstaple Hotel. They have two pools that you can enjoy for free as our guest.